Sometimes I just want a snack or light lunch. Hummos was a great go-to but now that I don’t eat beans, it’s out or should I say “was out”. 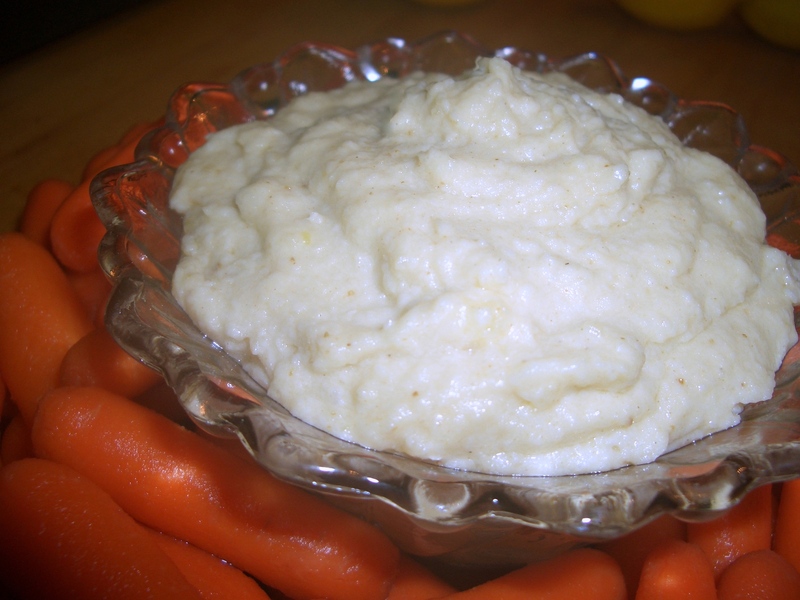 In my quest for a replacement I’ve developed a paleo version of hummos made with potatoes and cauliflower that is just as good as the one made with beans (if you eat beans I have a recipe for Lemony White Bean Hummos here). To be honest with you, traditional hummos is easier to make – especially if you start with canned beans – because you do have to prep and cook the cauliflower and potatoes for this version. 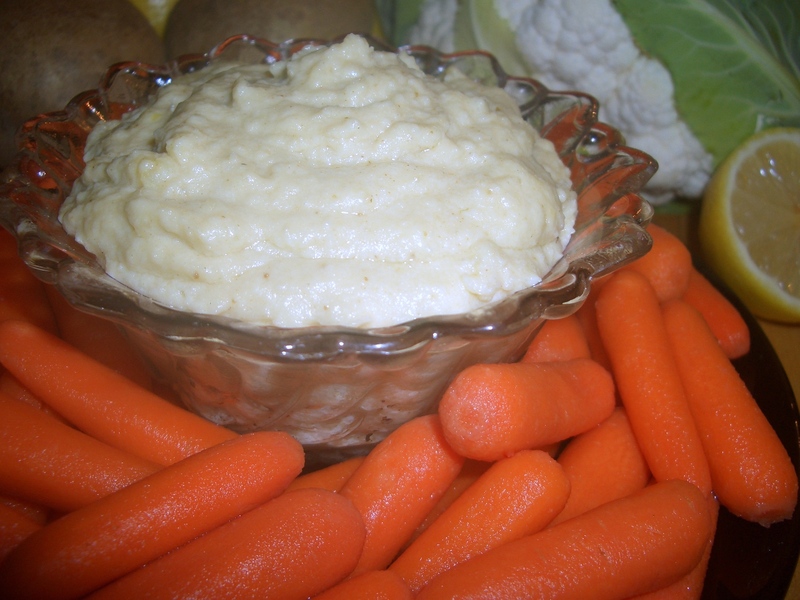 But if you are longing for a satisfying dip or snack, this hummos will fill the bill. If you want a paleo dip but don’t want to bother with cooking the cauliflower and potatoes – don’t forget the Tahini I posted last June. You can cook the cauliflower and potato in boiling water until soft, then drain thoroughly, if you don’t have access to a microwave. 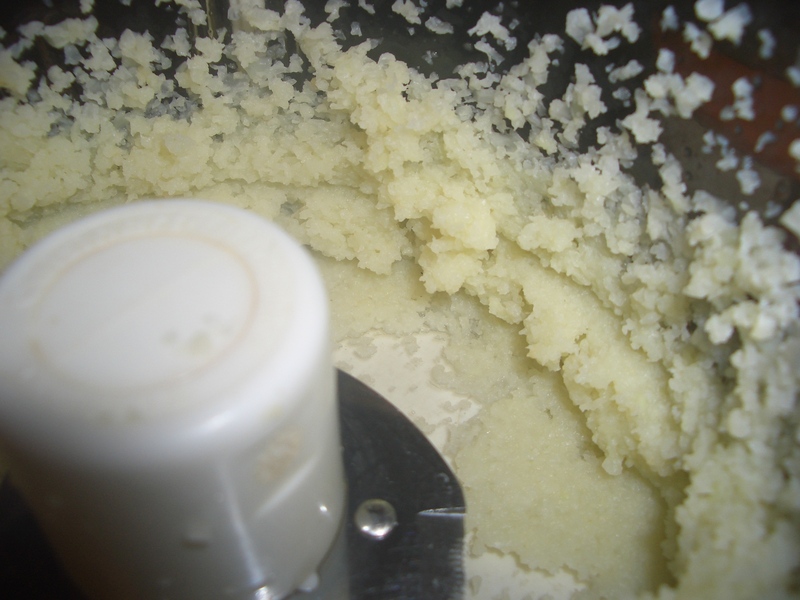 Put the cauliflower florets into a food processor. Cover and pulse until cauliflower is fine crumbles. 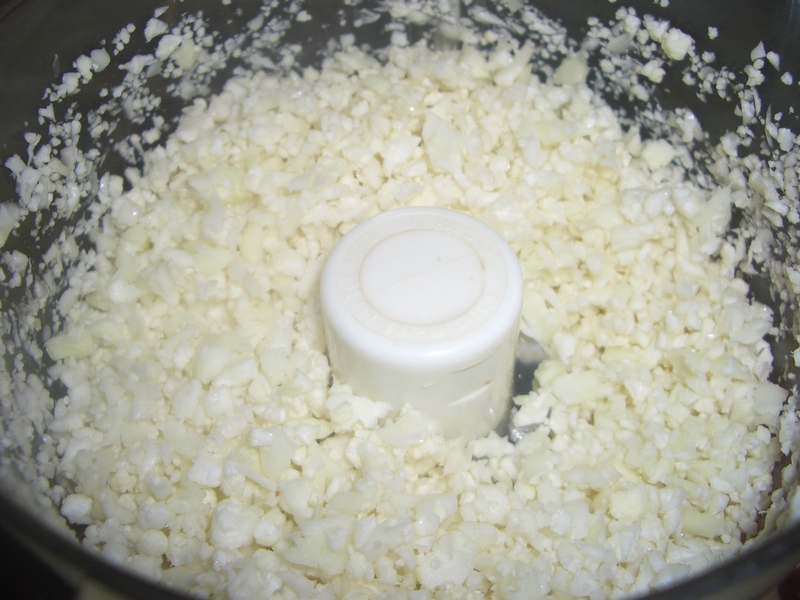 Place 1 packed cup of the cauliflower crumbles with 3 tablespoons of the water into a microwave safe bowl. 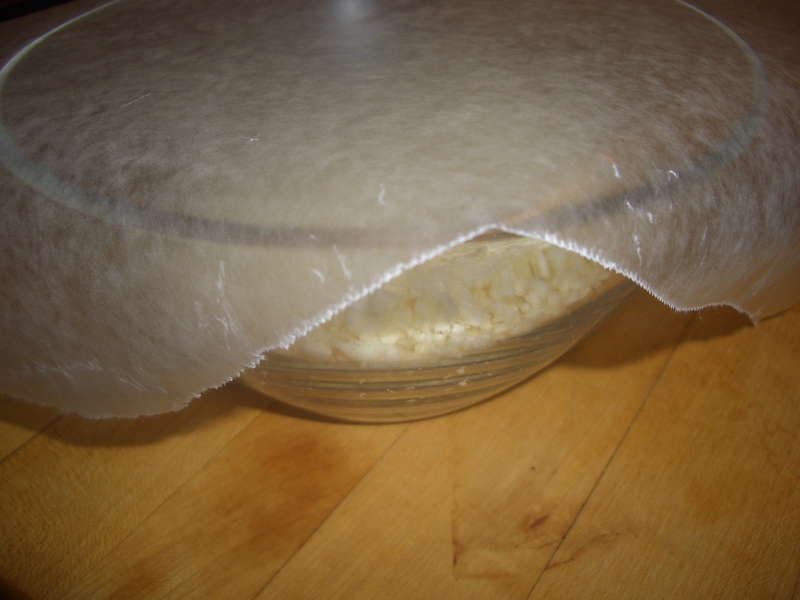 Cover with wax paper and microwave on high 3 minutes. Stir and return, covered, to the microwave for 2 minutes longer. Let cool. 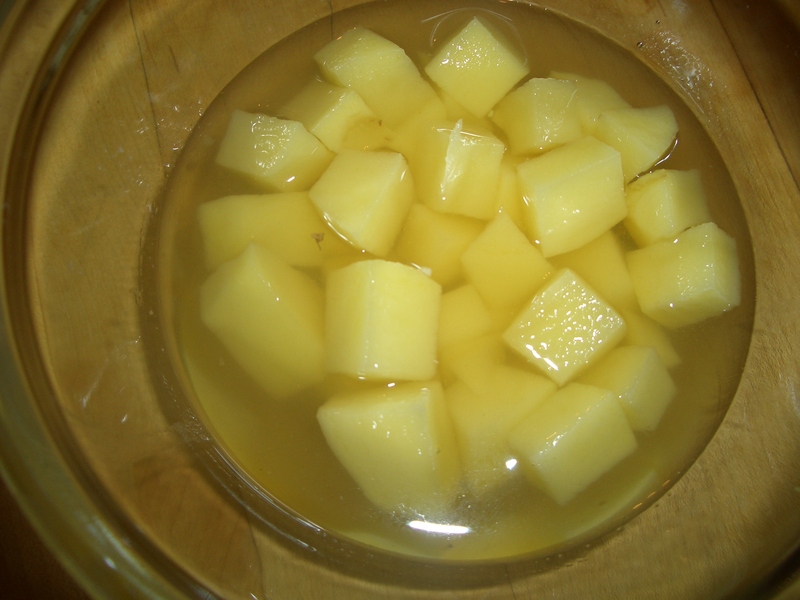 Place the potato and broth into a microwave safe bowl. 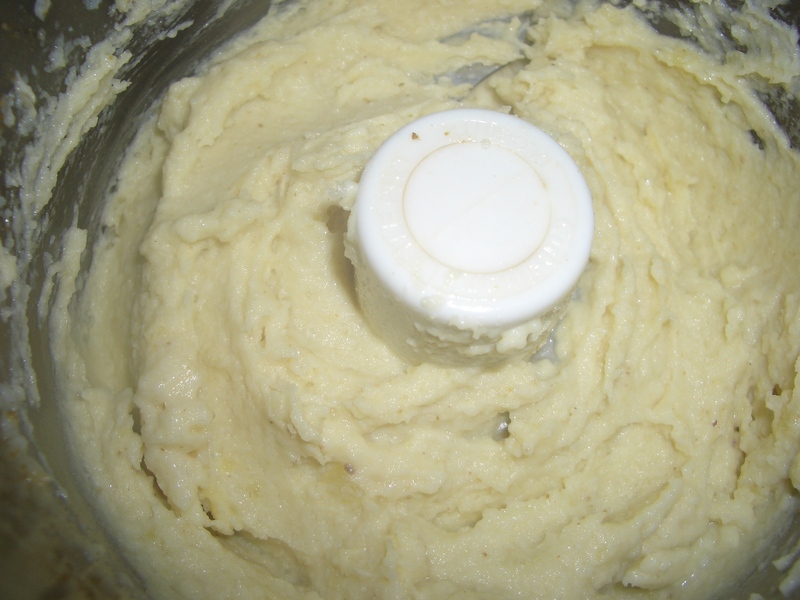 Cover with wax paper and microwave on high until soft; 3 to 5 minutes, depending on the size you diced the potato. 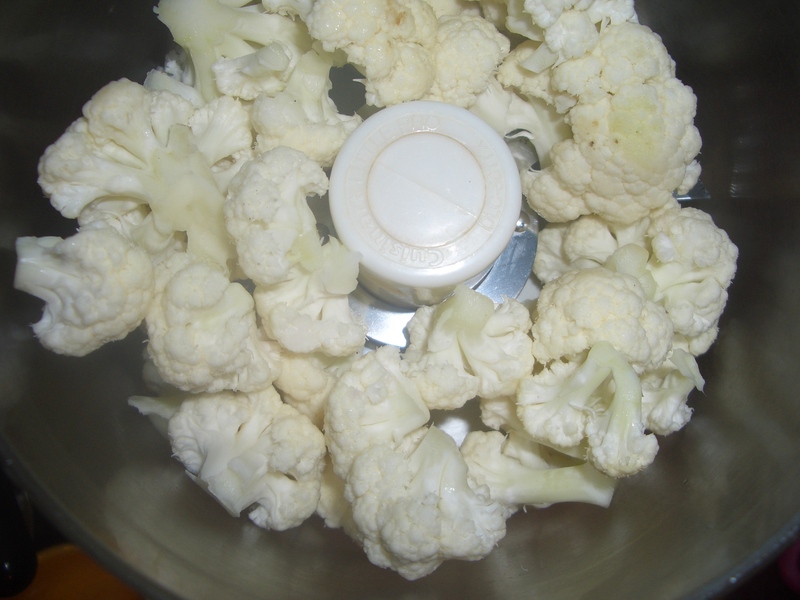 Place the cauliflower into the food processor. Process until mashed. 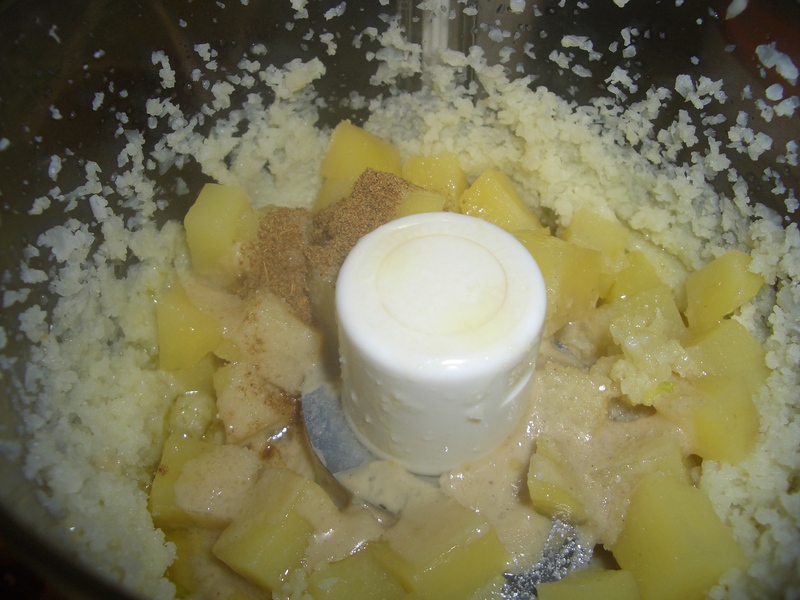 Add the potatoes with any liquid that remains, olive oil, tahini, lemon juice, garlic, cumin and salt to the processor container. Cover and pulse until smooth. Spoon into bowl; if you find the hummus too sticky or thick, stir in as much of the remaining water as necessary to get the consistency you like. Place in serving bowl and serve with carrots, chips or crackers.